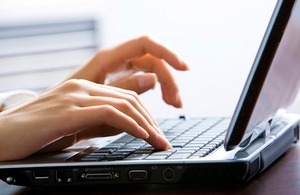 Scheme Operators: Do you have an article of interest to consumers? Email us and we will link to your site to help promote you and your scheme. 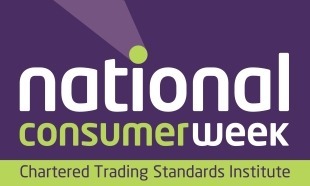 The theme for this year's National Consumer Week campaign was 'Know your New Rights'. The aim of the week was to raise awareness on the new Consumer Rights Act, an extensive piece of legislation which came into force on 1 October 2015. 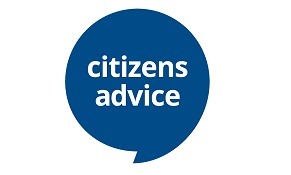 The Consumer Rights Act came into force on 1st October 2015. The law is now clearer and easier to understand, meaning that consumers can buy and businesses can sell to them with confidence. On the rare occasions when problems arise, disputes can now be sorted out more quickly and cheaply. The search is on again to find the best and safest places in Renfrewshire to enjoy a drink. 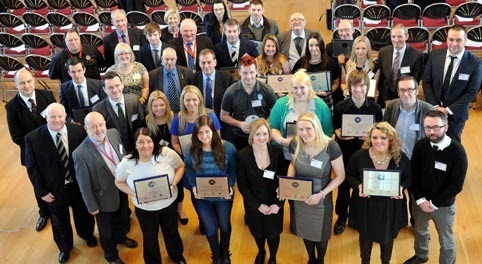 Renfrewshire Council and Police Scotland have launched the 2015/2016 edition of their Best Bar None awards. 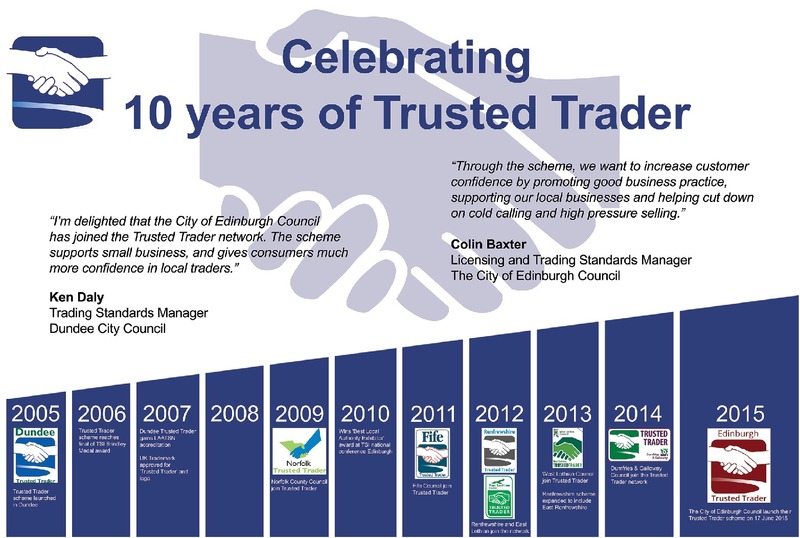 Celebrating 10 years of Trusted Trader. Trusted Trader was launched by Dundee City Council in 2005, with a simple aim, to encourage local businesses to sign up to a code of practice that will give consumers confidence in the standard of service they expect to receive. 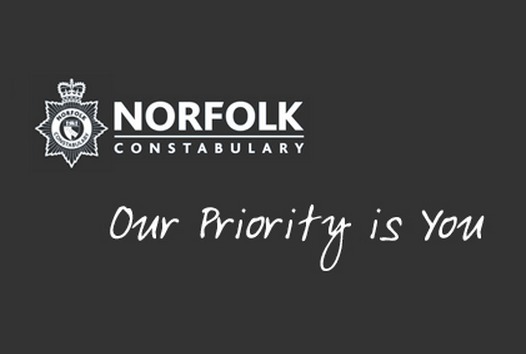 Norfolk Trading Standards' doorstep rogue trader team and Norfolk Police are warning residents to be on their guard following a cold calling incident in Norwich yesterday which nearly saw one elderly householder lose thousands of pounds for work that didn’t need doing. 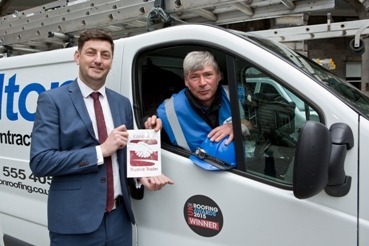 A new online directory, Edinburgh Trusted Trader, has been launched to help residents choose contractors with confidence. The CMA has found that online reviews and endorsements are proving useful to consumers, but it has concerns that some practices may be unlawful. 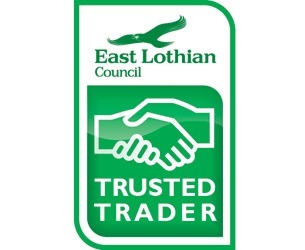 Our Council has launched its new Trusted Trader Scheme. Initially focusing on the home improvement sector, the initiative will be run by the Council’s Trading Standards Team - increasing consumer confidence, promote good business practice and protecting people from doorstep crime. 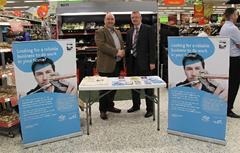 Successful launch of the Renfrewshire Trusted Trader scheme in East Renfrewshire. 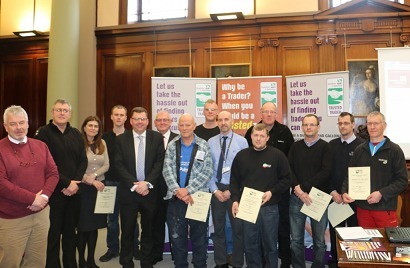 Rogue traders will be feeling the heat in future following the successful launch of the Renfrewshire Trusted Trader scheme in East Renfrewshire. Businesses in East Lothian are being invited to sign-up to a new scheme that will help them to market their company and distinguish themselves from rogue traders. 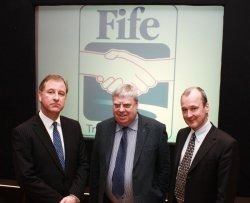 Fife Trusted Trader was launched by Cllr George Kay, chair of Fife Council’s Police, Fire and Safety Committee on Thursday 13th January 2011. The web based trader approval scheme will help consumers to find services such as property maintenance and vehicle sales and maintenance. As well as benefiting consumers, it will also help businesses who are seeking to provide services in an honest and fair fashion. 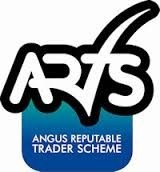 Angus Reputable Traders Scheme, run by the authority’s trading standards service, has just been approved as a member of the Local Authority Assured Trader Scheme Network (LAATSN) – which sets a national standard of customer care. The report of a major review of the trading standards services in Scotland is launched today (15 June).Up to standard: a review of trading standards services in Scotland found a complete lack of consistency in the services offered to consumers and to businesses. It also discovered that there is no effective national system in place to measure the effectiveness of the service and that resources to support trading standards differed enormously across Scotland’s 32 Councils.